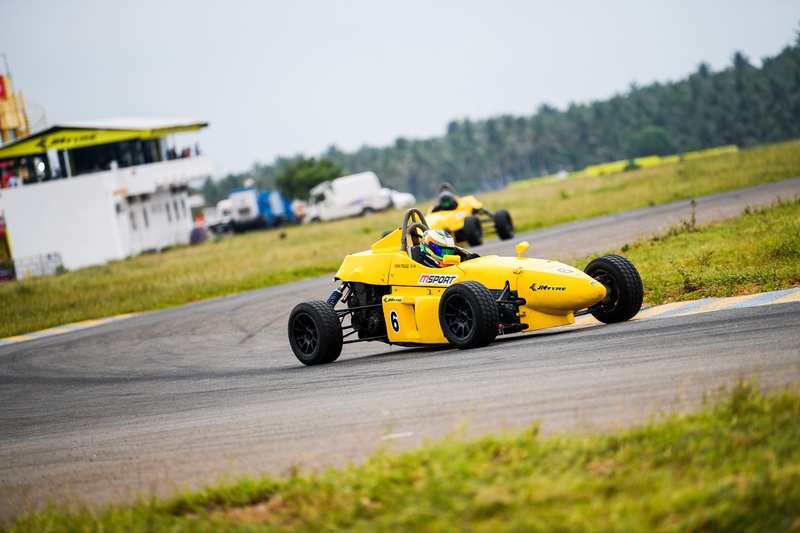 Coimbatore, October 14: Chennai’s Ashwin Datta moved a step closer to his maiden Euro JK title in the 21st JK Tyre FMSCI National Racing Championship as a dramatic Round 3 -- replete with ups, downs and upsets --came to an end here on Sunday. Ashwin (74 points after R3 ), who was just two points ahead of Nayan Chatterjee (66 after R3) as the action began on Saturday, made the most of Nayan’s DNF to widen his lead. But Chennai’s Karthik Tharani (68 after R3) won the next two races to come back into the equation. The final race of the weekend, however, saw a totally new set of winners, with Nirmal Uma Shankar, Brayan Perera and Yash Aradhya claiming the podium places. Ashwin finished fourth, though, ahead of his key competitors to be 6 points ahead of the field. 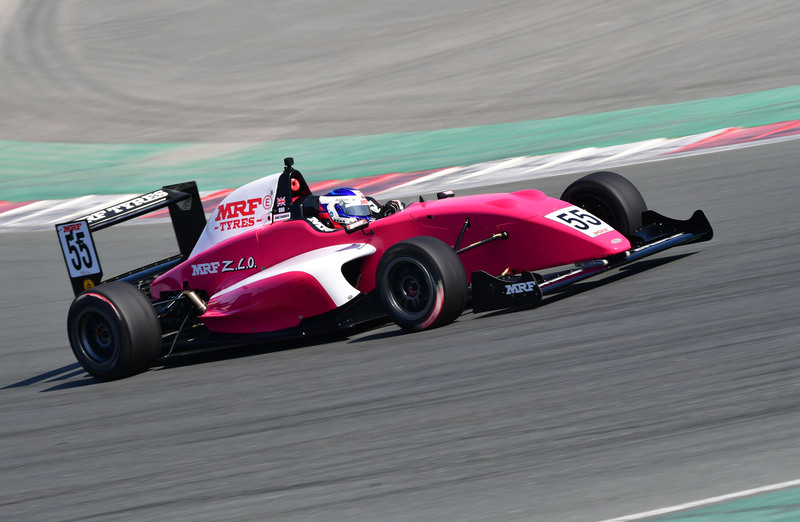 The LGB Formula 4 too proved to be topsy-turvy but Vishnu Prasad (59) managed to keep his nose barely ahead despite not having the best of weekends. Delhi’s Rohit Khanna seemed to be cruising ahead after winning the first race on Day 1 and starting Day 2 with another victory. However, a series of incidents led to a number of protests, that saw him being penalized by 20 seconds and slip down from No. 1 to 13. Coimbatore, October 13: On a day of great thrills and a handful of crashes, Ashwin Datta made the most of his good fortune to hang on to his Euro JK 2018 lead in the 21st JK Tyre FMSCI National Racing Championship here on Saturday. 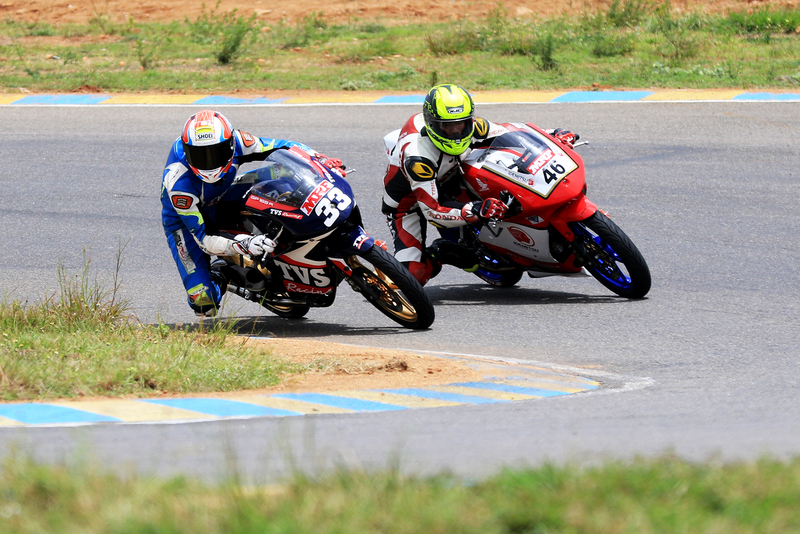 Joseph Mathew too continued his stunning run in the Suzuki Gixxer Cup, winning his fifth straight race to widen his Championship lead further. The LGB Formula 4, however, saw a mini upset, with Delhi’s Rohit Khanna (Dark Don Racing) pulling off a stunning victory. Mumbai’s Nayan Chatterjee started the day on a high note in the Euro JK 2018, claiming the pole position in a tight qualifying session. He turned out to be just 0.316 seconds faster than the field but looked set to give Ashwin a mighty fight. But he was a tad slow off the mark in Race 1, and Karthik Tharani shot past him before the first turn itself. As if that was not enough, Nayan and Tharani got caught in a tangle midway through the race, forcing both of them off the tarmac. Tharani managed to recover but Nayan failed to finish, losing valuable points. Ashwin Datta took advantage of the situation to streak ahead into the lead. He began from P3 but came into his own soon, clocking the fastest lap time of 1:01.422. 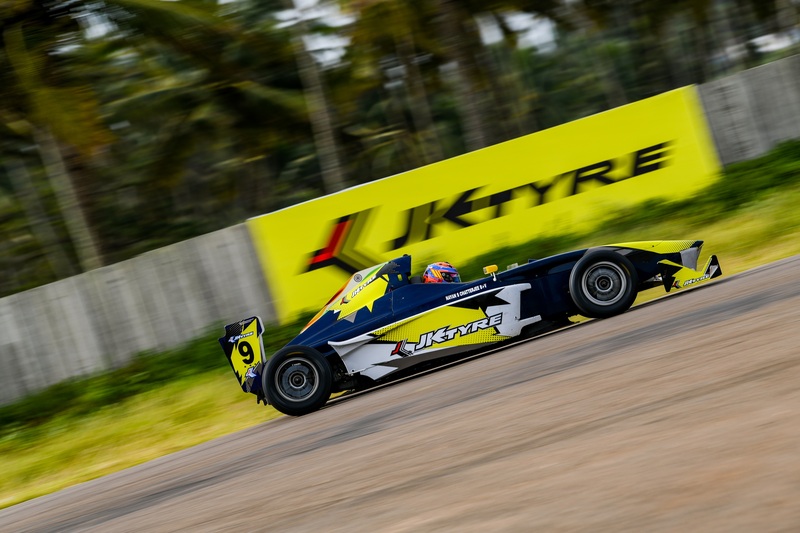 Coimbatore, October 12: Round 3 of the 21st JK Tyre FMSCI National Racing Championship will roar to life here on Saturday, with the Chennai trio of Ashwin Datta, Vishnu Prasad and Joseph Matthew looking to consolidate their positions on the leaderboard. Ashwin, who had surprised everyone with speed and guile this season, has managed to stay ahead of the pack with three podium finishes in the Euro JK 18 category. He (51 points) will be looking anxiously over this shoulder as he has a slender two-point lead. Nayan Chatterjee (49 points) was breathing fire in Round 2 and will be keen to carry that momentum forward to stake his claim for the championship in the final round next month. "The championship has reached a very exciting stage, with anyone capable of winning in each of the championships,” Sanjay Sharma, Head of JK Motorsports, said. “It is going to be an intense battle this weekend,” he added. 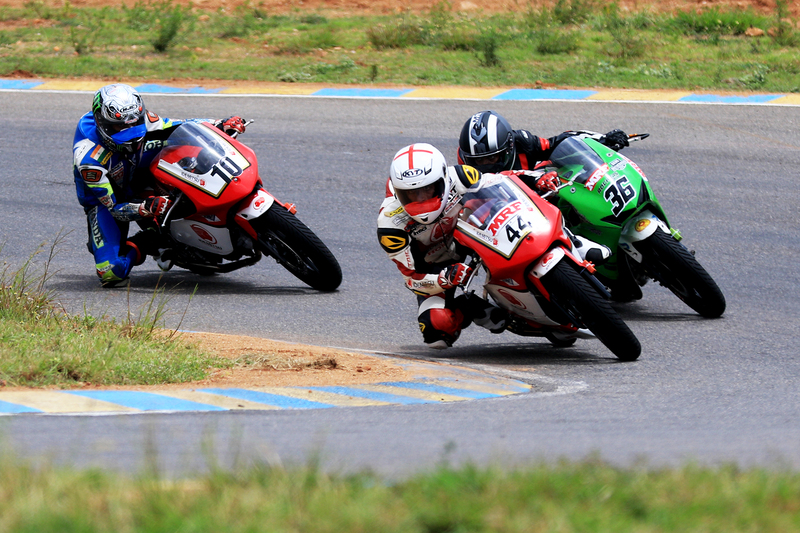 RACR - Rajini Academy of Competitive Racing .The Sport bike School sessions are a one day event at the KARI Speed way, Kovai ( Coimbatore) on the 17th and 18th November 2018. This schedule is open for riders of all levels - Beginners, intermediate and skilled i.e. commuters, touring, track day riders & racers. All Bike Categories: 100 cc bikes and above including super bikes. Open to all without any age limit . Call us for Bank payment details. All academy sessions, both theory and practice are done at the race Track. Book your seat .Rush your registrations!!! We are making available a limited number of TVS Apache RTR race bikes and safety gear on hire, on a first come first serve basis. We will ensure you get maximum track time with world class training.